Jeffrey began as an illustrator producing work in a wide variety of traditional mediums, such as acrylic, oil, pastel, airbrush, watercolor and pen and ink. He has been doing commission work for nearly 30 years for a wide variety of clients, including the Hilton Guam Resort and Spa, The Guam Council on the Arts and Humanities and the Pacific Islands Club. 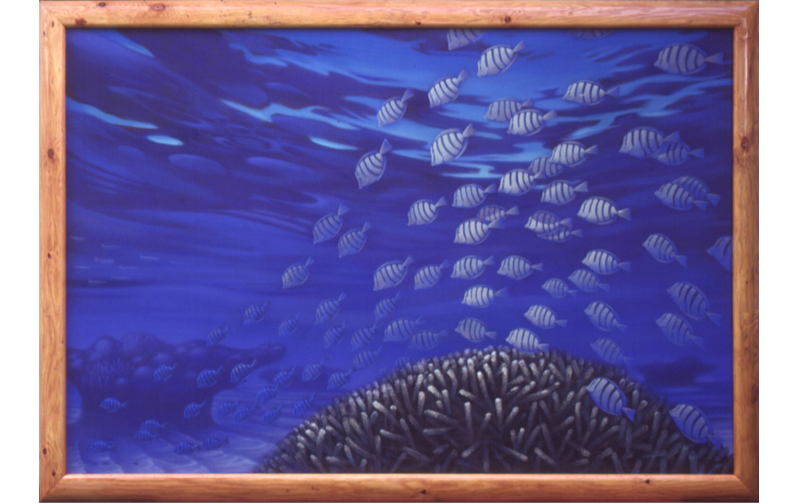 Most of Jeff's paintings are large in scale, ranging from 40 x 30 inches up to 12 x 6 feet.